Getting your content noticed is important and can be achieved through proper SEO writing. Optimizing your content for search engines is how most people will come across your blog or website. When you search a word or phrase, the search engine displays the results; are you listed anywhere? 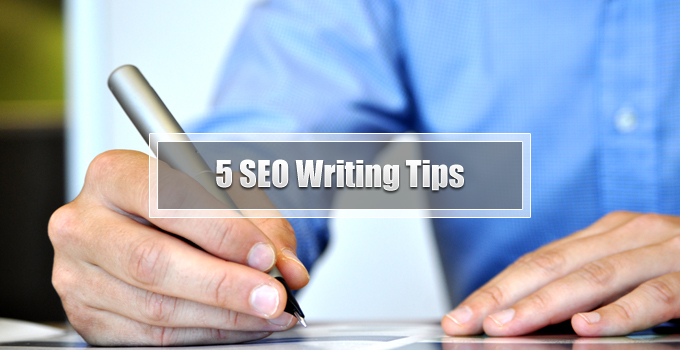 Even if you aren’t familiar with SEO you can easily incorporate the following SEO writing tips into your own creative writing. Just remember that the more you do and learn about SEO, the easier the task becomes. For those who write frequently eventually creating SEO content will be more like a second nature; you won’t think twice when writing. There can be no denying the power of a restrained, minimalistic logo. Monochromatic color schemes and single shade branding is a sure fire way to add a touch of class, elegance and iconoclasm to your brand. However the same can be true of vibrant, colorful logos. It’s much harder to execute successfully. But with a keen eye for taste, balance and harmony, a colorful logo can be every bit as refined as a simple black on white treatment. What’s more, using a zingy color palette can introduce a dynamism and energy that a limited color palette could never achieve. Here we take a look at ten stunning examples and explore the ways they succeed in building strong branding for their owners. Criticism is a fact of life when you work as a freelancer. Still, when you work hard on something, whether it’s a design, an article or a piece of art, you become attached to the work. You feel you have done your best, and it can be hard to accept criticism of that work. If you follow these steps, though, you should be able to accept criticism with the grace and good attitude that will lead to repeat business and recommendations.